The software provides immediate expert design analysis of objects made by milling, turning, punching, laser cutting, wire cutting, extrusion, thermoforming, and plastic molding. A 3D preview helps visualize the final part before ordering. The instant design feedback and pricing allows users to ask unlimited “what if” design scenarios to optimize cost. Once the design is final, the part is ordered through the program’s interface. Finished parts are sent to customers anywhere in the world. 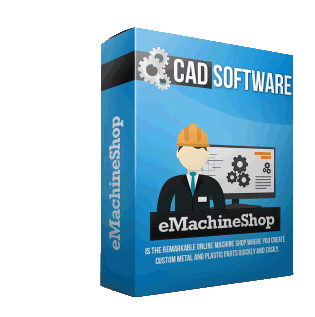 You can use the eMachineShop CAD software to create electronic schematics. 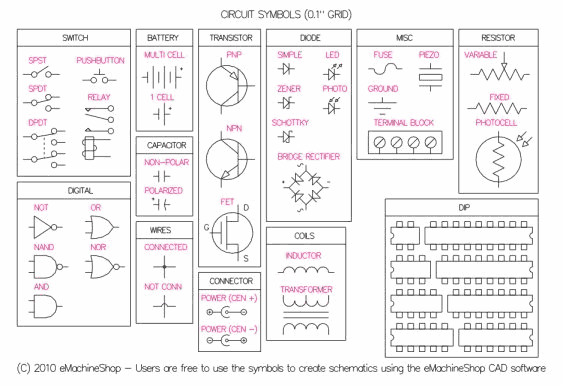 Download and open the symbol library. In Edit | Preferences | Grid set distance to .05″. On the left toolbar enable Snap to Grid.